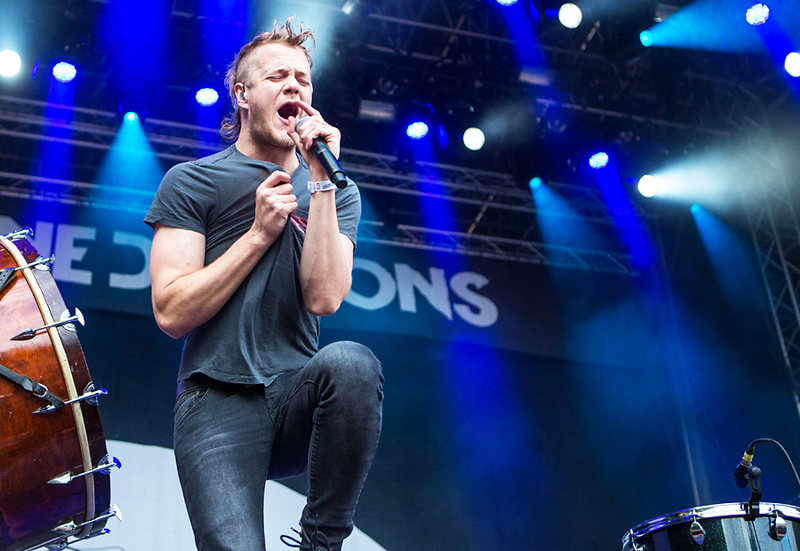 Imagine Dragons is a new band, they released their debut CD, Night Visions in 2012. 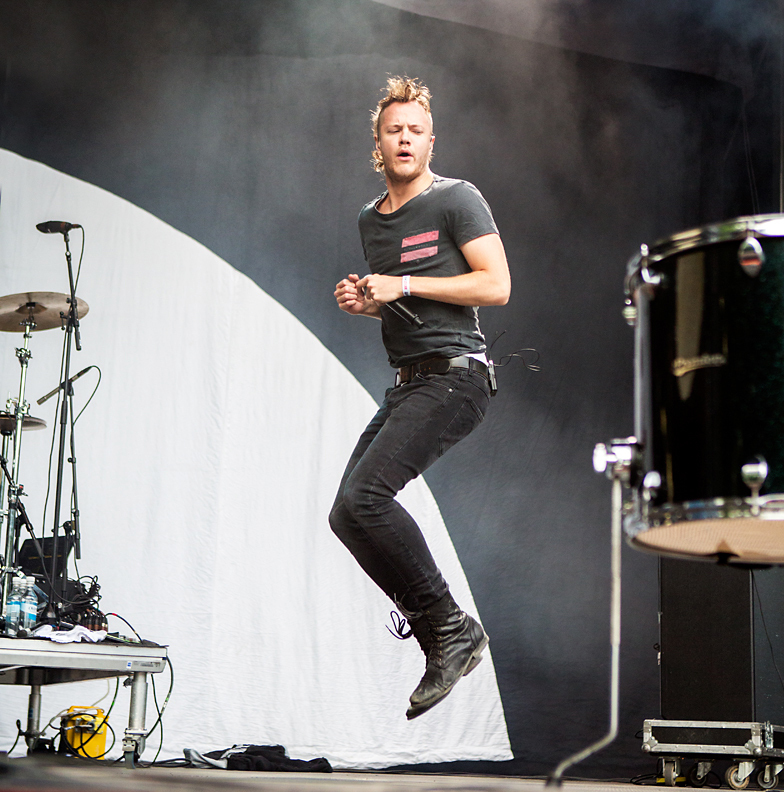 Luckily for them, the single from that CD, Radioactive, was voted the best rock hit from 2012 by the Rolling Stone Magazine, so they got a real kick-start to their career. 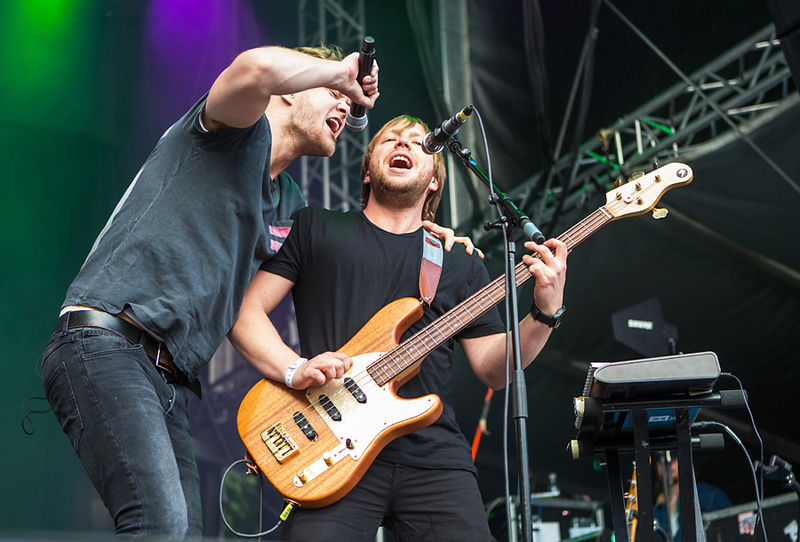 Yesterday they played at Bergen Fest, and I was impressed by their live show. 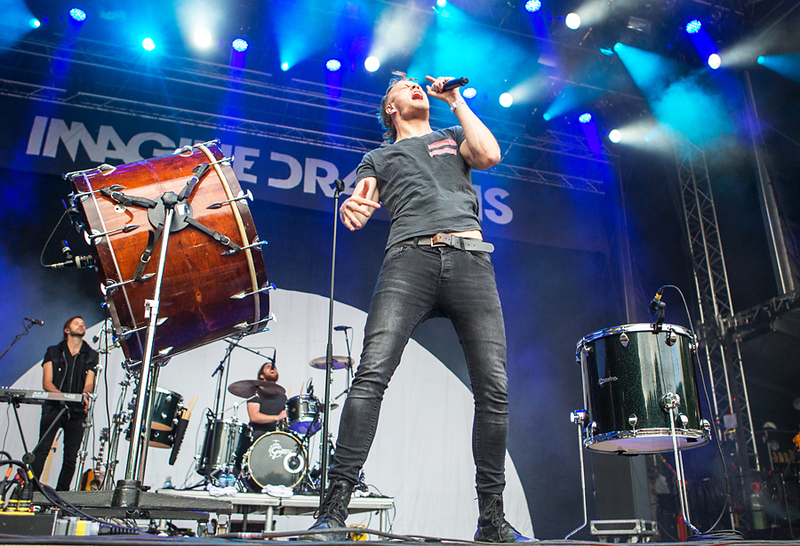 The main ingredients in Imagine Dragons show were a big drum and some smaller ones placed around the stage. 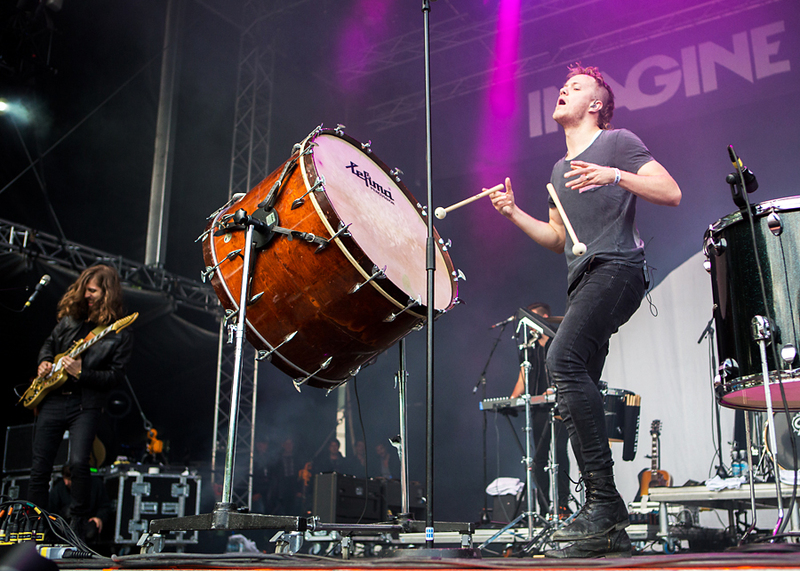 The band members used the drums extensively during the concert, and it worked well both visually and as part of the music. 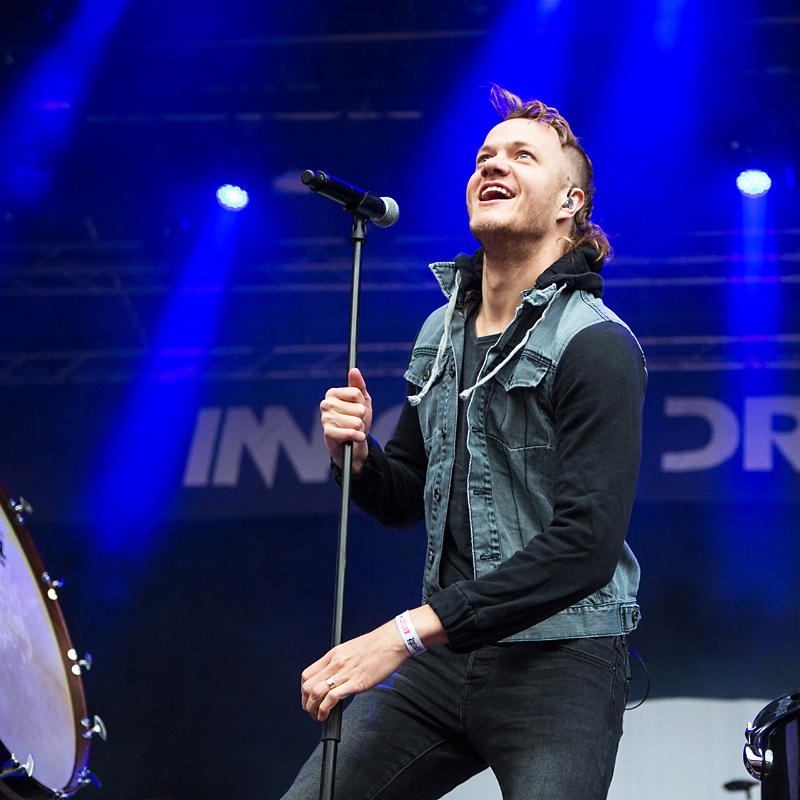 The band’s singer, Dan Reynolds, is the obvious focal point. He is tall, good looking, and a hit with the girls in the front row. 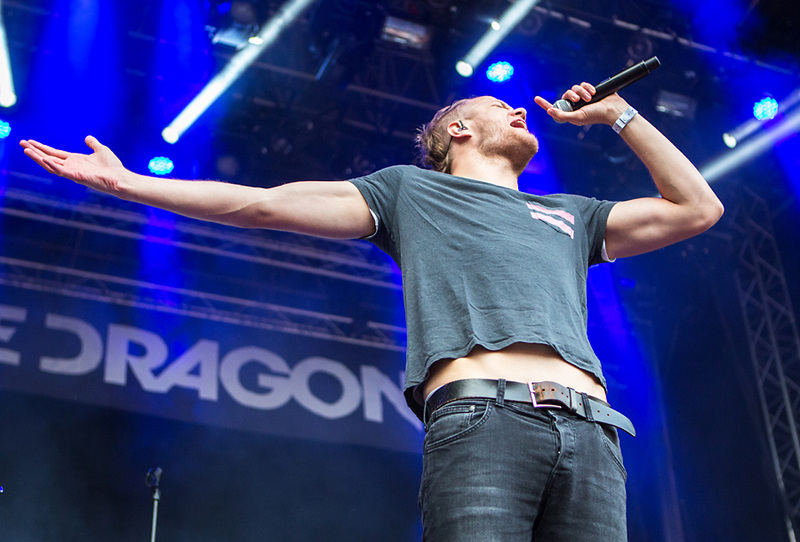 Imagine Dragons make music that isn’t exactly on my list of favorites, but that doesn’t matter as long as they perform the music with such a precision and joy. 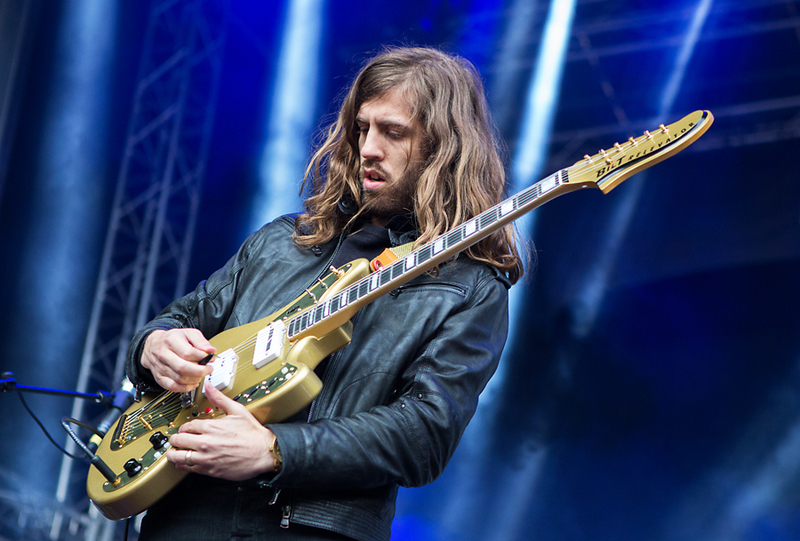 Besides Reynolds, Wayne Sermon (guitar) is the central musican in Imagine Dragons. 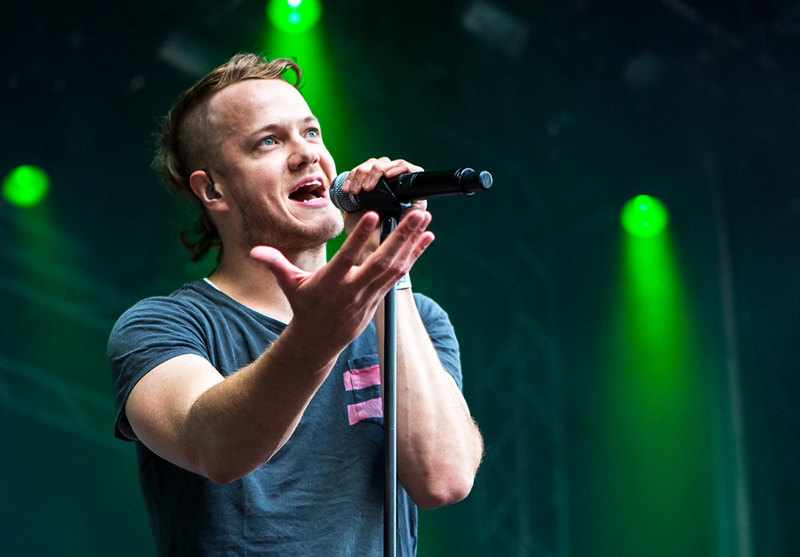 He doesn’t do much on stage, but his playing is impeccable, with many great details and solos. 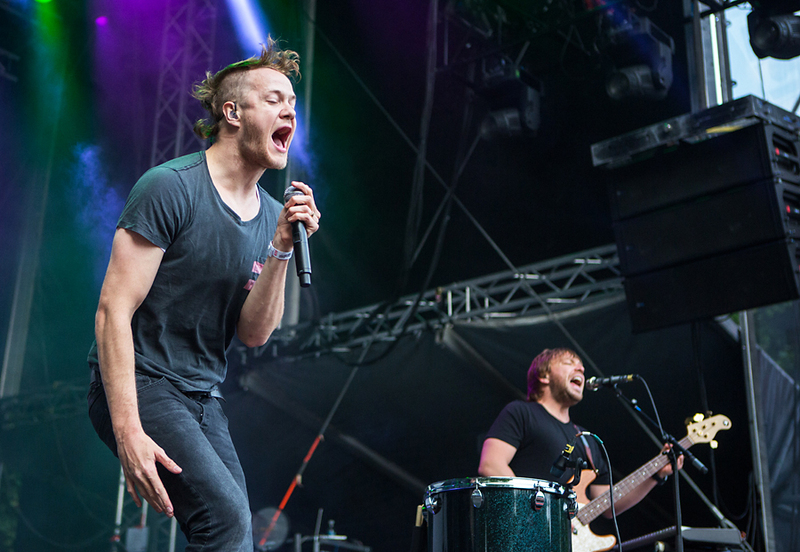 Not having seen or heard the band before, I was still taken by their show, and I am sure they will continue to be a safe booking, specially for festivals. 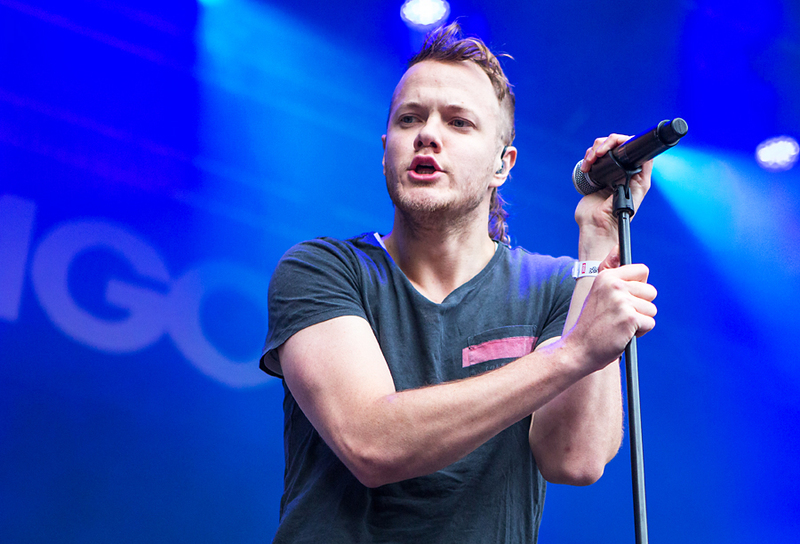 Their music attracts the younger kids, but it contains enough rough elements for the older ones in the audience. 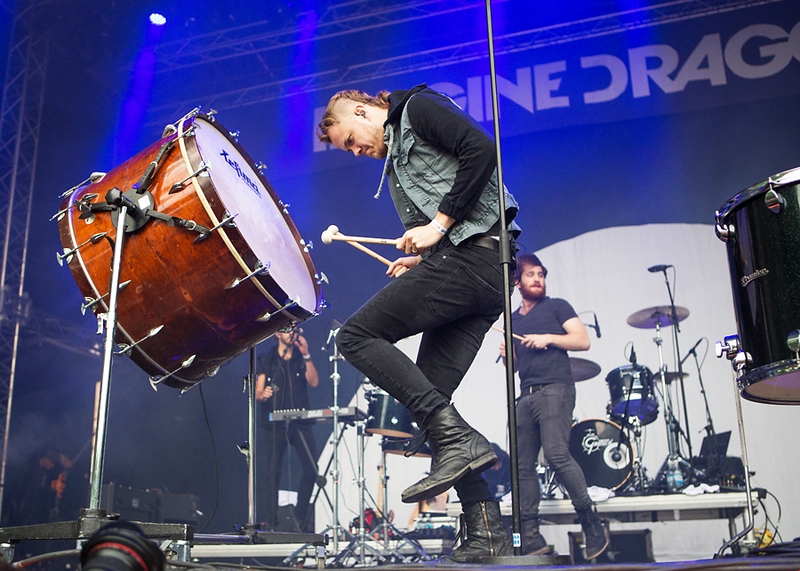 And their drumming is spectacular, even if I got some feelings of a Riverdance performance some times. 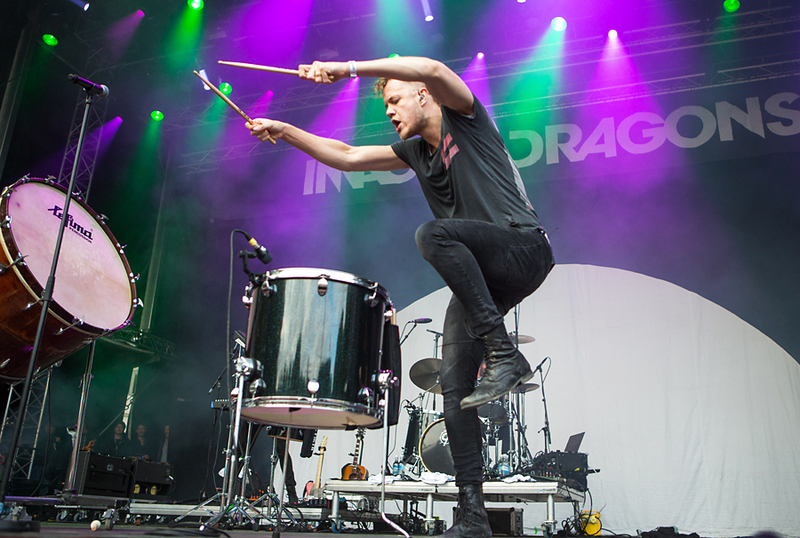 This entry was posted in Concert and tagged Dan Reynolds, drum, Imagine Dragons, rock, Wayne Sherman by Per Ole Hagen. Bookmark the permalink. 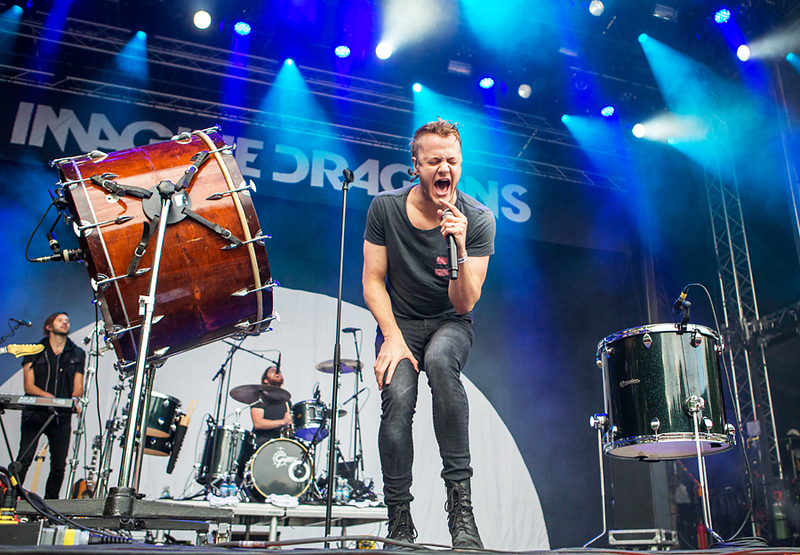 Imagine Dragons is my granddaughter Ally’s favorite group. She got Chicago concert tickets for Christmas. I sent her the link to your photos. Thanks Roberta. They do a very good show, both musically and visually. She will certainly enjoy them.